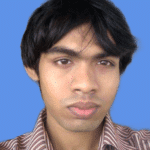 VMware Workstation Pro is a very powerful virtualization solution for Desktop users. You can virtualize many operating systems on VMware Workstation Pro such as Ubuntu/Debian, Windows 7, Windows 8, Windows 10 and many more. The user interface of VMware Workstation Pro is simple. I really like the simplicity of VMware Workstation Pro. 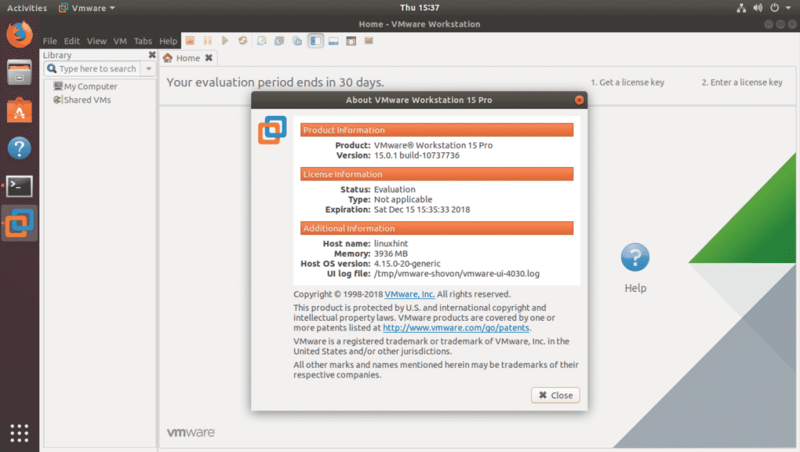 VMware Workstation Pro 15 came out a few months ago. 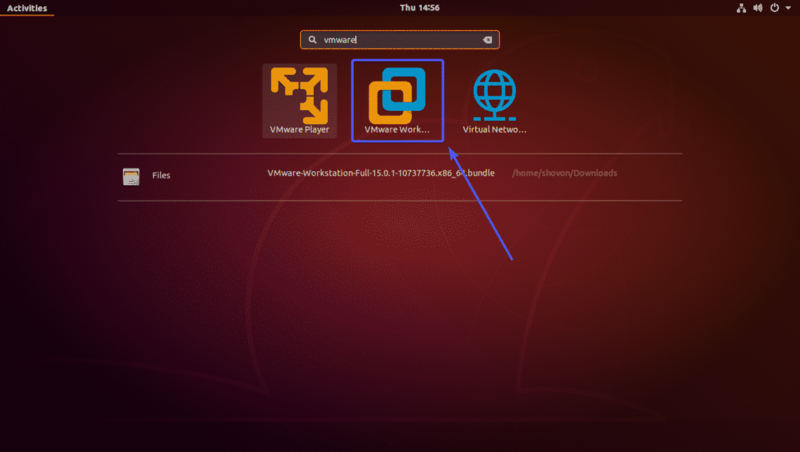 You can easily install VMware Workstation Pro 15 on Ubuntu. 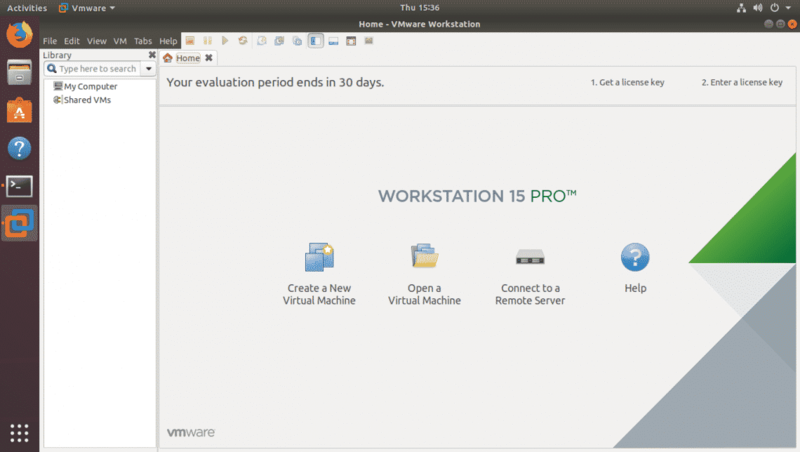 In this article, I will show you how to install VMware Workstation Pro 15 on Ubuntu. I will be using Ubuntu 18.04 LTS for the demonstration. But it should work on any modern version of Ubuntu. So, let’s get started. 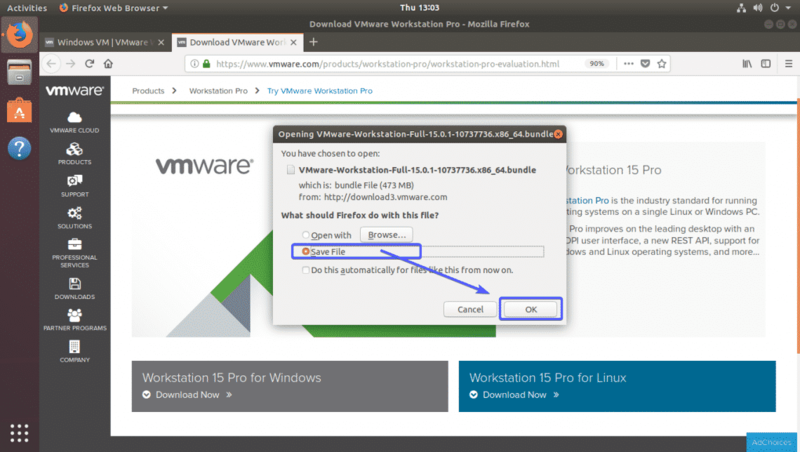 In this section, I will show you how to download VMware Workstation Pro 15 on Ubuntu. First, go to the official website of VMware Workstation Pro at https://www.vmware.com/in/products/workstation-pro.html and you should see the following page. Now, click on Download Now >> as marked in the screenshot below. Now, you should see the following page. Click on the Download Now >> button of Workstation 15 Pro for Linux as marked in the screenshot below. Your browser should prompt you to save the file. Just select Save File and click on OK.
Before you start installing VMware Workstation Pro on Ubuntu. I suggest you enable AMD-v if you’re using AMD processor or VT-x/VT-d if you’re Intel processor from the BIOS of your computer. Otherwise, VMware Workstation Pro 15 may not work properly. As you can see, the VMware Workstation Pro 15 installer that I just downloaded is here. The VMware Workstation Pro 15 installer should start. Select I accept the terms in the license agreement and then click on Next as marked in the screenshot below. Select I accept the terms in the license agreement and then click on Next again. If you want VMware Workstation Pro 15 to check for update every time it starts, then select Yes. Otherwise, select No. Then, click on Next. If you want to join the VMware’s customer experience improvement program, then select Yes. Otherwise, select No. VMware’s customer experience program will automatically collect data necessary to improve VMware products. If you’ve bought VMware Workstation Pro 15, then type in the license key here. If you’re just trying out VMware Workstation Pro 15, then just leave it blank. VMware Workstation Pro 15 is being installed. Once the installation is complete, click on Close. Now you can start VMware Workstation Pro 15 from the Application Menu of Ubuntu. 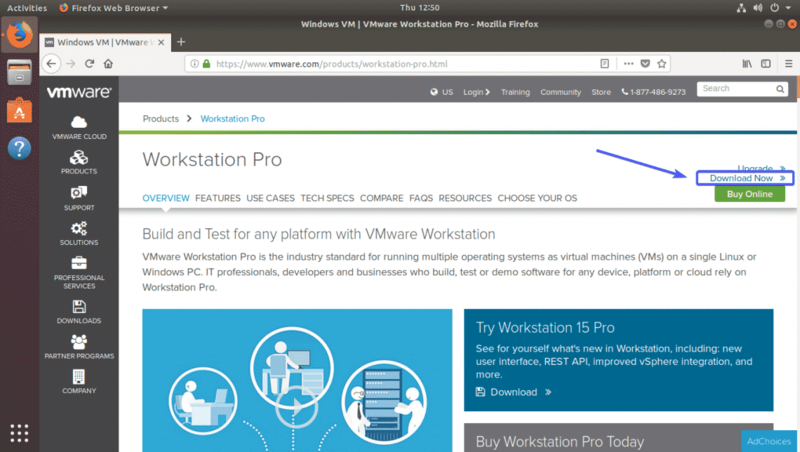 Just search for vmware and click on the VMware Workstation Pro 15 icon as marked in the screenshot below. If you see the following window when you start VMware Workstation Pro 15, then it means you don’t have the GCC compilers installed on your system. VMware Workstation Pro 15 needs GCC in order to compile the VMware Kernel Modules. It is easy to fix. GCC and all the required build tools should be installed. Now, if you try to start VMware Workstation Pro 15, you may see the following window. Just click on Install. 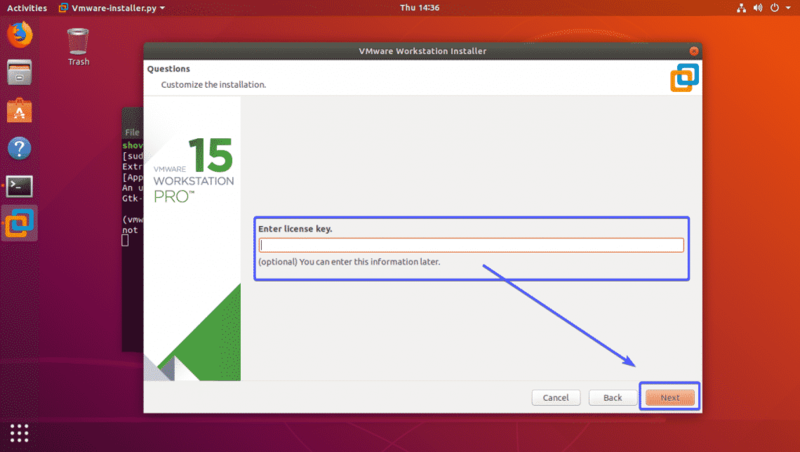 Now, type in the password of your login user and click on OK.
As you can see, the VMware Kernel Modules are being built. Now, you should see the welcome product registration screen of VMware Workstation Pro 15. If you have a valid license key, then type it in and click on OK. If you just want to try out VMware Workstation Pro 15, then select I want to try VMware Workstation 15 for 30 days and click on OK.
VMware Workstation Pro 15 should start. Click on OK as marked in the screenshot below. 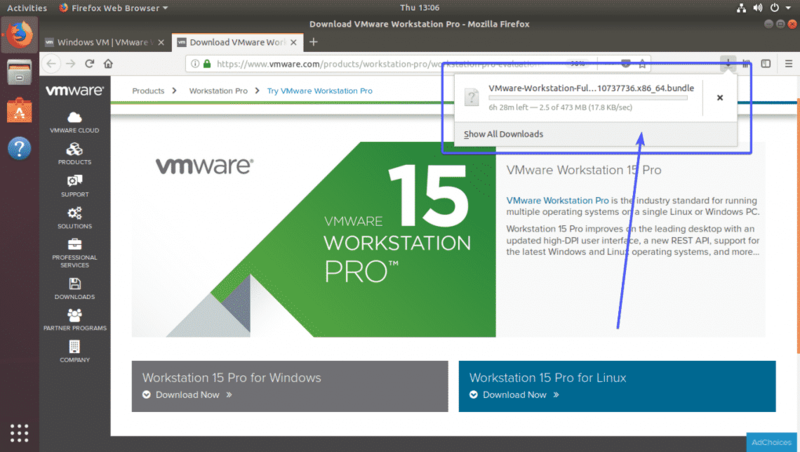 Now, you can start creating Virtual Machines with VMware Workstation Pro 15. The About window of VMware Workstation Pro 15. So, that’s how you install VMware Workstation Pro 15 on Ubuntu. Thanks for reading this article.